Times are changing, and our marketing strategy has to evolve as well. 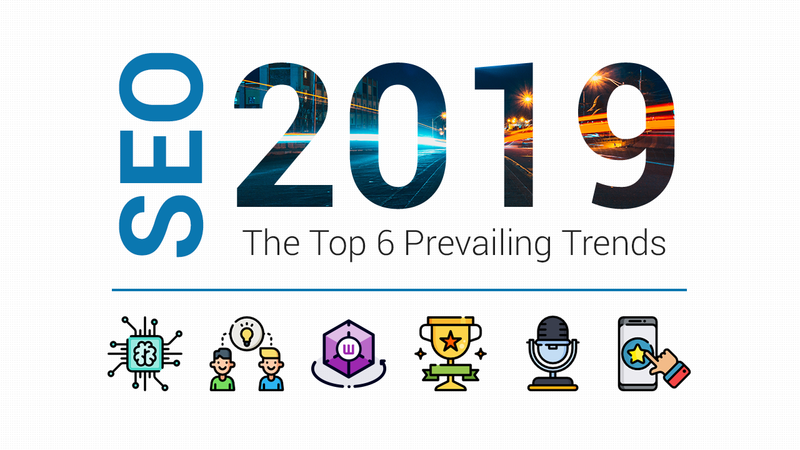 In a world where people are constantly overwhelmed with information every second of the day, marketers are trying their level best to differentiate themselves from the rest. Today, the online marketplace is an overly crowded landscape. With billions of websites online – you want to be better than your competitors, attract more attention, and sell more products and services. So, if you own a business, what are you currently doing to attract customers to your product or services? Just putting your content out there hoping that customers would visit your website wouldn’t work. In fact, many marketing materials offer only a one-way conversion. To keep up with the needs of modern online users, you certainly need to provide them with eye-catching content to progress that journey. People in search of information rarely goes through each and every website in detail. As humans are known for their short attention span, they would leave if the site does not manage to catch their attention. Have you ever wondered then, what kind of websites compels them to stay and read on? According to a research done by Content Marketing Institute in 2016, 81% of marketers say that interactive content is more effective when it comes to grabbing consumers’ attention. Going into 2019, you can safely assume that the percentage has risen. To many of you, it may seem like a relatively new content type. But if you were to look closely, these interactive content are starting to gain more traction. Being in the marketing field for some time now, I have noticed that companies tend to overlook the importance of interactive content in their strategies. 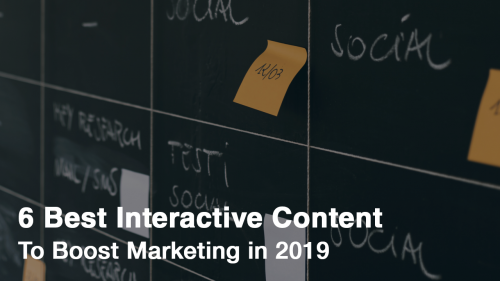 In this blog, I will be walking you through several types of interactive content to boost your marketing in 2019. Let’s dive right in! First and foremost, interactive content is visual based. A well-written blog post on its own performs well enough. 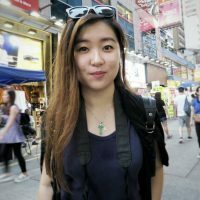 A blog post with an interactive quiz that makes you feel like something bigger? It has the potential to go viral. Simply say, interactive content are content that drives users to engage, participate, achieve results and share. Unlike conventional content (which is just reading and watching), users can have a say and are able to interact with your brand. Nobody likes to be forcefully sold to – they want to feel engaged and entertained. If you want someone’s attention, you have to earn it. And the only way to get earn someone’s attention is to give them something they want first. No matter how strong your SEO skills are, it’s not enough to have your content sitting out there waiting to be found. In most cases these days, passive content forms like ebooks. webinar or white papers are not sufficient to keep your readers for long. You need a differentiator. To better illustrate this explanation, here are seven content types that give you a better idea of the kinds of interactive content elements that you can start introducing into your own marketing strategies. The basic idea of this is to identify what is really important to your target consumers and to create experiences that will allow them to relate to your brand on a personal level. We’re living in a world where customer’s expectations are getting higher than ever. The traditional one direction marketing flow has been replaced by audiences that demand highly personalized content and valuable experiences. To answer this demand, marketers around the world have now begin to create interactive content to bring out a better content strategy. If you’re still not convinced that interactive content is an essential component of any marketing campaign. Let’s look at the 6 different types of interactivity that will bring you massive results. Online quizzes are the most popular forms of interactive content. This is because, people love to get real-time feedback of a score, a grade or a personalized outcome based on the responses they give to the questions. They clearly prompt interaction and two-way communication with your audience. If done right, fun interactive quizzes are attention-grabbing, interactive and engaging. They can even serve as a great way to drive traffic to websites due to their highly shareable ability, to reach either the broad or niche audience. Instead of leaving without reading half a sentence, readers are more prone to stick around to complete the quiz or even reload the page to achieve the best marks that they can. Who would have thought that the one thing many of us dread about in college is something that we willingly do in our spare time? Many of you now must be thinking that I’m talking about the Buzzfeed quiz style. I know, we’ve all spent time figuring out “where should you have actually studied abroad” or “which 90’s pop idol are you”, a typical time-waster. But when it comes to marketing in 2019, relevant quizzes can actually be a wonderful way to learn more about your audience and bring them closer to you. Quizzes are actually pretty similar to surveys – they both ask the users a series of questions. But why are interactive quizzes better received? The answer is pretty simple: traditional survey begs for people to respond but interactive quizzes naturally drive users to attempt them. To see an example of a quiz in action, look no further than the interactive quiz by SEOPressor that taps into the power of search engine optimization (SEO). 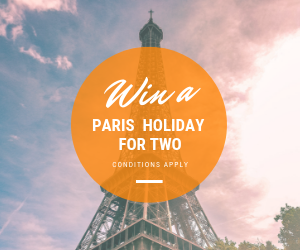 By the end of the quiz, you’ll see a special offer that you can make use of! Go forth and try it out! It only takes less than 5 minutes, trust me. Generally, the final answer will be analyzed, and the results are sent to your emails. It’s clearly a win-win situation. Polls are another smart way to collect data about your audience. Typically, this style of content is used to facilitate feedback and capture new user data. Much like quizzes, they engage users by providing immediate feedback in the form of results. One huge benefit of having interactive polls compared to quiz or a contest is that it is usually much quicker to complete. The thing is, users, don’t need to navigate through several steps to get their results. Through a poll, users can gauge their opinion against other audience members, offering a cohesive picture of your community – and make them feel like they have a place in it. 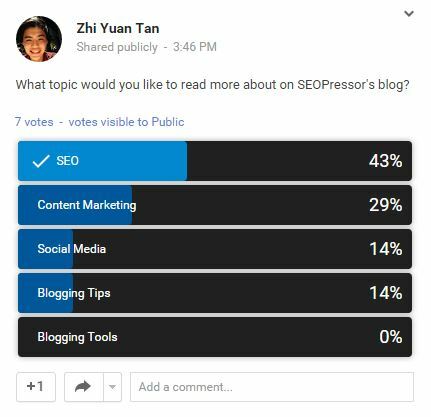 The poll above clearly states that our SEOPressor readers would love to read more on SEO related topics. By getting this crucial piece of information, we know what our readers want and will do everything to cater to them. Simple as that! If the same questions were presented in the standard web form, you would be certain to see lower engagement rates. Integrating a poll or even a quiz takes minimal effort and can yield big results – and it doesn’t require that you whip up content from scratch. Today, finding creative and interactive ways to engage with your audiences will spell the difference between a successful thriving business – and a failed one. Get on board and create a quiz today! What’s a better way to hold people’s attention on a massive scale? Games. Remember those countless hours we spent playing Pacman on the arcades, or Tetris on Gameboy? For sure you do. We all love to play as it is a source of entertainment for all of us. The motivation of playing games are closely linked to our general human motivations; playing and winning a game makes us feel good. When you apply games in your marketing, you interact with your users and generate leads. Everyone deserves a bit of indulgence now and then, so why not offer some to your users in the form of entertaining content! See how Financial Times managed to create The Uber Game, from reporting to prototyping to letting users drive. According to the creators of the game, The Uber game is an interactive news game that puts you in the shoes of a full-time Uber driver. It also equips users to ask the right questions and start important conversations. And more than 70% of the players who began the game, finished the game – a number significantly higher than a typical interactive. While the example shown above is a more extensive game that takes a lot of time to produce, you might consider using this form of gamification that is less time-consuming. It is known as the “spin-to-win” wheel. This wheel turns lead generation into a fun game that visitors are sure to try them out. That’s because it gives them a chance to earn rewards as soon as they choose to opt-in. Moreover, this method stands out compared to the usual popups that are mostly ignored. This wheel works best with discounts and promotional items. A Spin To Win widget is possibly the most simple and easy way to implement a gamification marketing strategy. Go try it out today! A prize-driven interactive contest is a tactic used by a lot of marketers worldwide. That’s because psychologically, everybody wants to win. While they have been around for quite some time, they have taken on a new life with the growth of the internet. Contests are certainly not the answer to all your marketing strategies, but they should be part of the marketer’s toolkit, wherever relevant. Now, cool contests are proven to lure customers and inspire engagement. Firstly, you need to decide which type of contest will help you reach your target audience, as each type of contest appeals to a different set of audience. The trick to making your contests a success is to make sure your “prize” something that only your best customers would value. Besides that, remember to have specific rules and conditions for your contest as it will protect you in the long run and weed out contestants who don’t match your demographics. Ebooks are so easy to create, basically everyone is doing it. They pretty much look the same- boring, static assets that end up in your folder 5 seconds after you open it. Despite this, ebooks are surprisingly still one of the top preferred content marketing mediums by marketers. The popularity of these ebooks is going to get more saturated as time goes and readers will become numb to them. That is why modern marketers need to find a better way to use these assets to engage and educate readers. Interactive ebooks allow you to step away from a passive one-way viewing experience, and into a two-way monologue that engages a reader and allows publishers to generate leads and conversions. They tend to emphasize visuals over text and remember that education is your primary goal here. As you can see in the video above, it allows the readers to be in control of what they want to see. Readers can click to skim through the book, with questions that pop up on every other page for them to answer. When communicating more complicated or dry content, an interactive ebook helps the reader get through it. You can put some infographics, even animation depending on the topic, images, and possibly some videos also to engage the users. The possibilities here are endless when it comes to these interactive ebooks. Interactive videos are different for the fact that they are given a choice of interacting with the video instead of simply just watching it. Have you experienced them before? These videos usually involve questions that determine how the video ends, giving you full control over the outcome that you choose. The video is by Allianz Global Investors. Their goal of this interactive video was to increase the number of quality recruits and raise brand awareness. The team created an interactive video that gives players the ability to experience a day in the life of a portfolio manager. The video pauses at predetermined spots and asks the viewer a question with 2-3 possible outcomes. According to the choices made, players can lose points for making rushed, uninformed decisions. According to a recent article by Matrix Blog, “making the learners interact with the video – even through a simple click or drag and drop – increases emotional engagement with the learning material and grows their chances of making the best decisions when confronted with the real world”. As you are exploring the world of interactive video, consider starting on Youtube; the platform makes it easy to add features without complex, expensive software. Goodluck! In a world where we want everything immediately, interact interactive content does the job, whether you want to simply connect with your audience on a deeper level or drive more conversions to your product or service. While it may seem time-consuming or expensive, interactive content doesn’t have to break the bank. Don’t implement all of the above for the sake of doing something interactive. Your content marketing efforts should still be focused on achieving specific, measurable objectives which can then be bolstered with interactive content. In other words, don’t do it to be cool. Do it because it will convert more effectively. Then you—and your audience—won’t be disappointed. Interactive content marketing is the way you should be doing it this year. That’s all for today, I’ll be back for more on this topic so stay tuned! Which interactive content speaks the best to you? Have you had any experience in any of them? If you do, which would you prefer? Let’s discuss in the comments section below!